The white monkey balm is perfect for your medicine cabinet. Effective for relieve backache, sprains and stuffy nose. 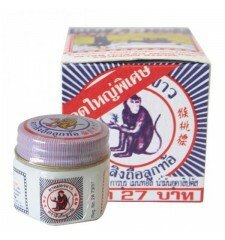 White monkey balm is one of the most famous medical balms Thailand. The picture of the white immortal monkey squatting taking a fish symbolizes longevity in Asia. 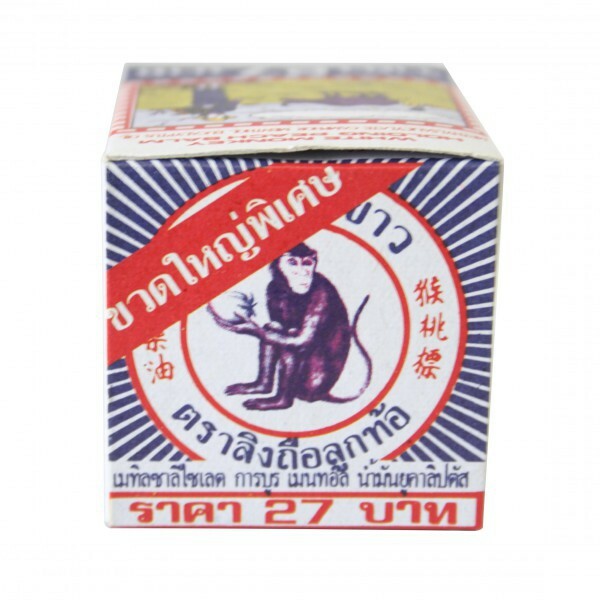 It is used throughout Thailand for muscle aches and fatigue. 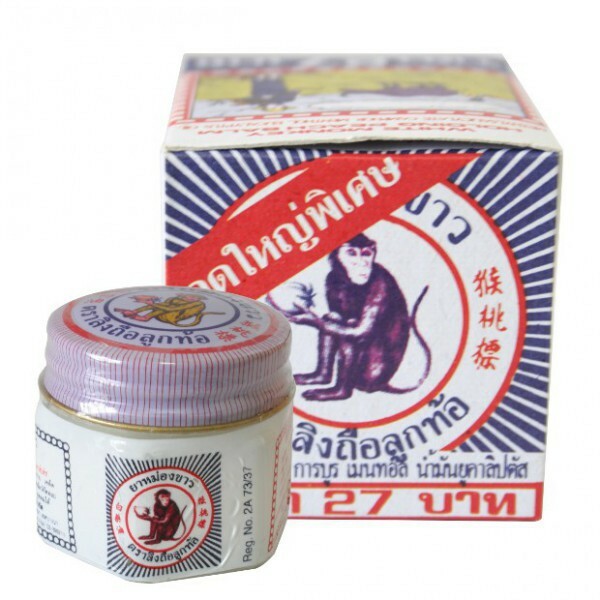 It is used throughout Thailand for muscle pain, fatigue, against insect bites, and sprains. It can also be inhaled or deposited under the nose to relieve congestion. Used before intense workouts to increase circulation in the joints and muscles to warm up before exercise. Indications: Against insect bites, pain and fatigue and muscle sprains. Use: Gently massage on the parts of the skin you want to process. 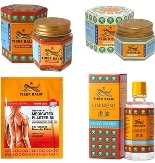 Monkey white balm is used for muscle pain, fatigue, against insect bites, and sprains. It can also be inhaled or deposited in the nose to relieve congestion. Used before workouts to increase circulation in joints and muscles to warm up before exercise. This product is combined with traditional Chinese herbal ingredients that relieve many discomforts, aches and pains of your body. It also has a Thai FDA no.2A73/37. This balm is an external ointment for a relief of bodily aches and pains of muscle due to simple backache, arthritis, strains sprains, and stuffy nose. It has exactly the same benefit as Tiger balm as you may notice. How to use: Rub over for relief of sprains, bruises, insect bites. Indication: For external use only. Do not contact with eyes. Keep out of reaches of child. Because of its many qualities, each time you will use this balm, you will feel a sensation of warm, and you will feel better. 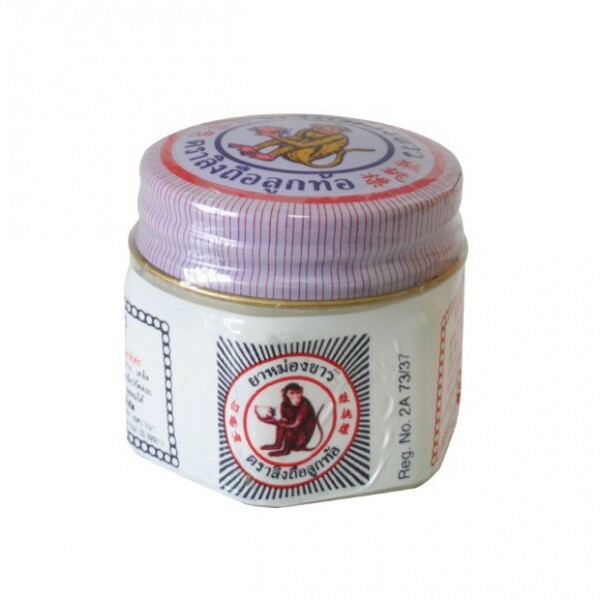 This ointment is used traditionally for since very long time in Thailand. A pregnant woman or fainted person may sniff the balm through your nose to help the person against dizziness or fainting. It's also effective in relieving headache, itching, mosquito or insects bites, indigestion and flatulence.